1. What is burial insurance? Burial insurance is a kind of life insurance that is purchased solely for the purpose of meeting funeral and burial expenses upon one’s death. As such, the benefits are rather small when compared to a life insurance policy, which could pay out hundreds of thousands of dollars. Burial insurance is a good option for people who have no life insurance but still want to make sure their final expenses are covered. It is impossible for us to say, with any certainty, how much burial insurance costs the average consumer. There are too many factors in play. What we can say is that monthly premium payments are in line with standard life insurance premiums. In many cases, they may be substantially lower. How much you would pay depends on the amount of coverage you want, your age, and certain health conditions that could shorten your life expectancy. 3. How much coverage should I purchase? The average burial insurance policy will not exceed $25,000 or so. This is not a problem, given the fact that the average funeral these days costs about $8,000. Determining how much coverage you purchase depends on what kind of funeral and burial you are hoping to have. You can talk to a local funeral director to get a good idea of current costs, and then adjust for inflation. 4. Do benefits have to be used to pay burial expenses? Most burial insurance policies pay a cash benefit directly to the beneficiaries listed on the policy. While it is generally accepted the benefits will be used to pay funeral and burial expenses, there is no one looking over the shoulders of survivors to make sure that happens. The money could be spent on other things. Having said that, there are some policies in which the insurance provider works directly with a funeral home to cover costs. In such a case, all the benefits would go directly to the funeral home. 5. Can anyone qualify for burial insurance? There are exceptions to every rule, but almost anyone can get burial insurance without a problem. Age and health are not a basis for disqualification. Having said that, age and health can affect monthly premiums and eventual benefits. Each insurance provider looks at these factors differently. 6. Can a burial insurance policy be canceled? The typical burial insurance policy cannot be canceled once the first premium payment is made. Having said that, a policyholder could simply stop making monthly payments and the policy would be automatically terminated. However, doing so also means there would be no benefit upon the policyholder’s death. 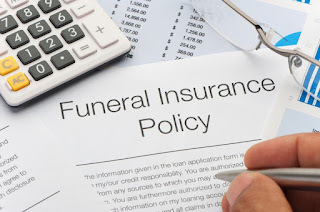 The one exception to this rule is burial insurance with a modified benefit. In some cases, such policies do offer a limited number of options for cancellation. 7. How do I apply for burial insurance? Applying for burial insurance is pretty straightforward. You start by comparing policies from as many providers as you deem necessary. Once you decide on one, you contact the company and ask for an application. It usually takes several days from the time the completed application is received to get a decision from the insurer. Once approved, the policy is underwritten and put in force at the receipt of the first premium payment. Burial insurance is nice to have if you have no other way of paying your funeral and burial expenses. Purchasing a policy relieves your survivors of the responsibility of making payment arrangements. That is a good thing. After all, they will have enough to worry about when you pass on.